Via fences for noise reduction of a chip antenna? 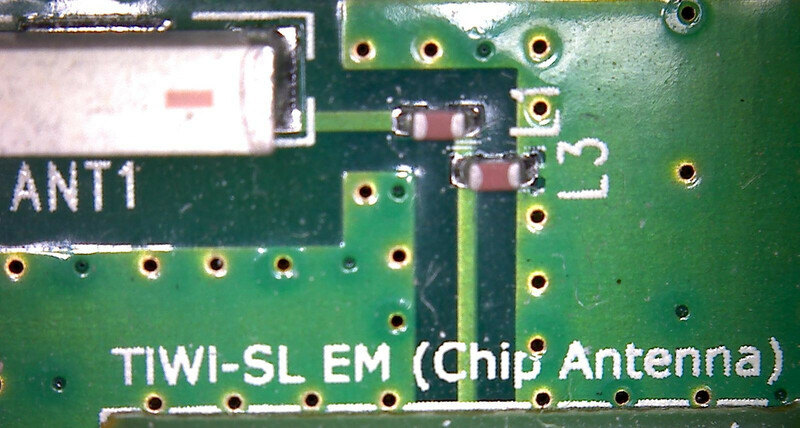 I'm working on a 4-layer PCB that has a wifi module and a chip antenna, the antenna is placed at the corner of the PCB and the copper beneath it is removed, I see that via fences are used on the breakout board of the same module, but the reference design doesn't say much about it, so I was wondering how they work ? how many via do I need ? their placement, sizes and the spaces between them ? Also, I've calculated the spacing between the vias for 2.4GHz to be around 100mils. The most cited paper on the subject that I could find is PCB design techniques for lowest-cost EMC compliance Part 1 (not free). NB: C (speed of light) will be approx. 60% of free-space velocity for EM radiation propagating through a FR4 dielectric PCB. The common rule of thumb is to locate stitch vias no further apart than λ/10 and preferably as often as λ/20. Prevention of coupling into nearby traces and metal pour. Prevention of waveguide signal propagation, shielding/isolation of circuit blocks, and the reduction of slot radiation from the edges of a PCB. Completion of a robust power distribution design. Reduction of series inductance to active and passive parts. For more detailed info on PDN (power distribution networks) in PCB, see [ 2 ]. Signal integrity, in particular for signals that transition planes. Thermal reasons (not covered in this tech note). The top and bottom layer copper pours provide an uninterrupted return path. This is maximized by the distribution of ground vias connecting the two layers. The internal ground plane of 4-layer designs also provide uninterrupted return path by connecting areas of copper that may otherwise be islands that do not contribute to the return path. The term “via stitching” describes the practice of placing evenly spaced vias around the board. Figure 9 shows a good distribution of ground vias with each via marked by a ‘+’. The row of more densely distributed vias along the top edge of the board is the applied antenna ground and is required to maximize the RF performance of the device. The distance between vias should be 1/4 your resonant wavelength at the most. You only want your antenna to radiate, not the rest of the circuit, i.e., electromagneic radiation. Surrounding the circuitry with vias and planes above and below creates a Faraday cage. The bigger the via is always electrically better since there is less inductance and less resistance. The placement is around the perimeter of your aggressive or sensitive signals (keeping radiation in or out). I highly recommend looking into FCC regulations and EMI/EMC compliance if you're working with RF. The gov't does monitor for these things. There are probably a good amount of RF PCB layout books out there. Not the answer you're looking for? 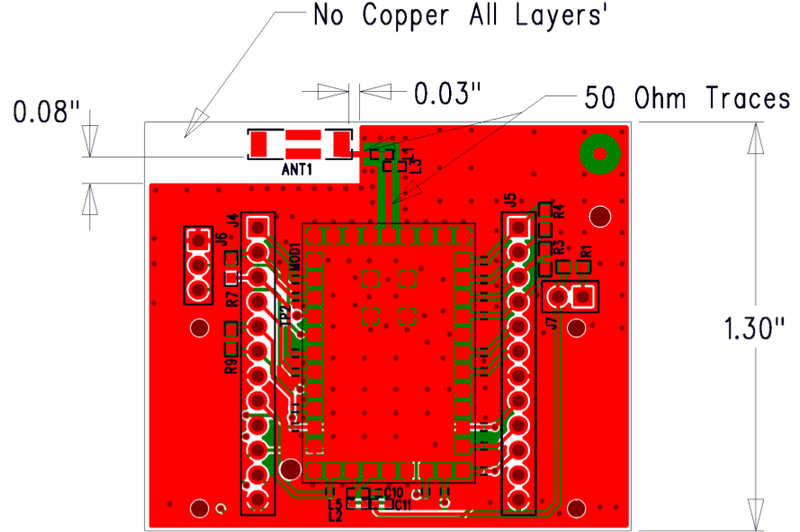 Browse other questions tagged pcb noise antenna emc or ask your own question. Antenna matching network. What? Why? How?